As described this is designed for men's hands. It lathers great and nice mild smell. My husband loves these and I get him a new bar every holiday/birthday. He likes the smell and he really likes how long they last. These are big and they are also solid. These don't just melt away in the shower like some other soaps. That pretty much says it all. When you have big hands, that means a lot! Let me first say it's NOT just for men! I love the way it lathers up and smells fresh and clean. You gotta try it! 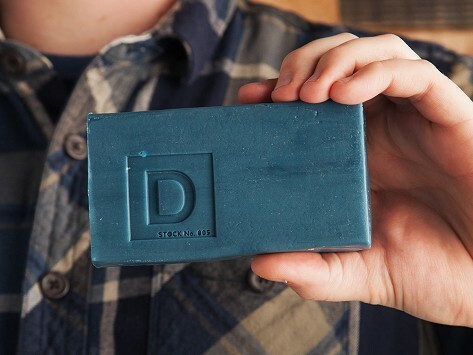 Big bar of soap! Smells minty and musky...really great smell. Bought it for my husband but I have been using too! 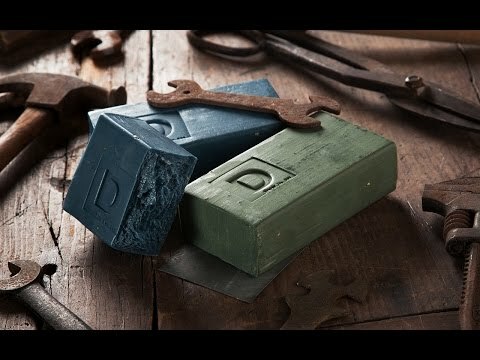 I have purchased this soap from Duke's website, Duluth.com for several years. Now I see it on a lot of websites and all at the same price. I love the size, the smell of all I've tried, the soap scrub holder, the way it lasts and lasts. Do not hesitate to buy it now for your self, teen boys, hubby, or significant other, you will be rewarded with gratitude. This was a gift to my husband, so we will still continue to see how great these are but I know they are wonderful! Gave Victory and Accomplishment to my brother in law for Christmas. He loves them!!!! !